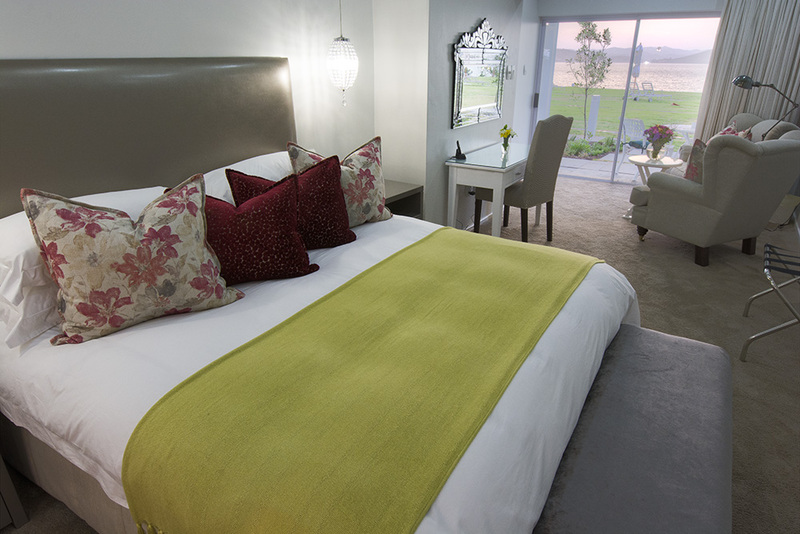 We offer nine luxurious bedroom suites with views of the Swartvlei Lagoon and unspoilt surrounds. Our small game and magnificent bird life will never fail to amaze you. The interior of the hotel is light and furnished in a contemporary classical style. Elegant fabrics and chandeliers add a note of artistic magnificence. Our suites consist of the royal Honeymoon Suite, four Luxury Suites with direct lake views and our four Superior Suites with sweeping lake views. All of our rooms are of the highest standards and luxury. Our Honeymoon Suite has been meticulously designed with no expense spared. 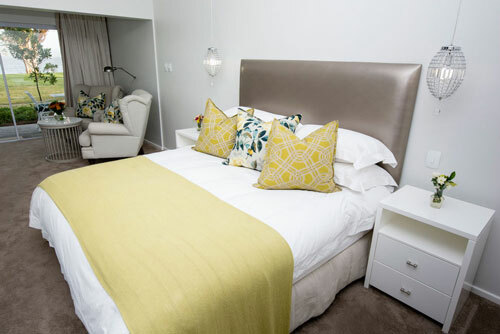 The perfect love nest for newlyweds or a romantic break away. 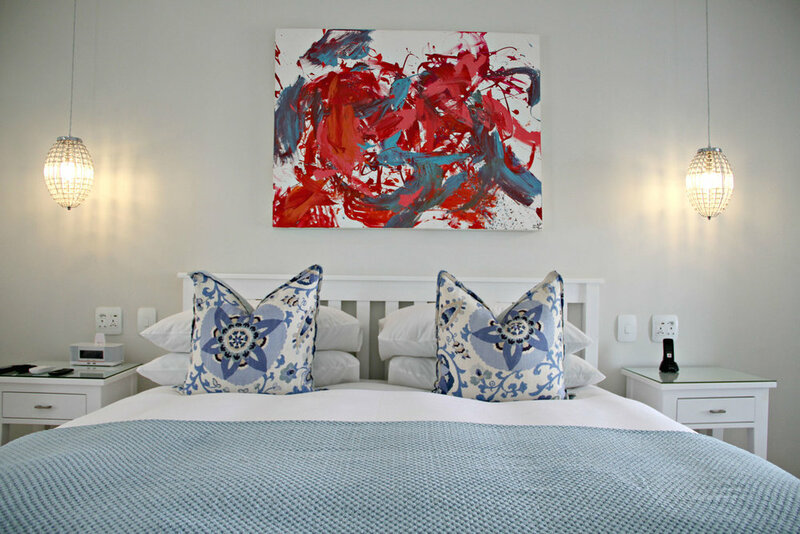 Our special suite consists of a four poster bed and is draped with lavish soft furnishings and exquisite fabrics. There is a spacious adjoining bathroom with a jacuzzi spa bath and a walk-in shower. The room opens up directly onto Swartvlei Lake, where guest can celebrate with bubbles and fine food. The Superior Suites are perfect for families and friends as they link via adjoining doors. Two of the rooms have jacuzzi baths, showers and two have free-standing baths and showers. 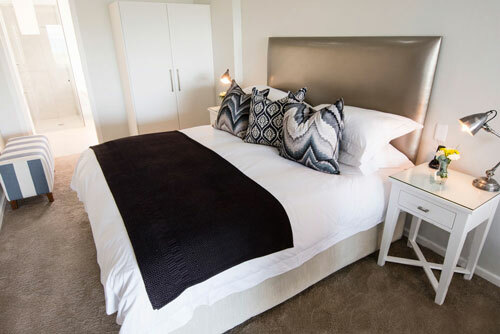 A 50% deposit (with balance on arrival) is required for any booking made more than 30 days prior to arrival, full accommodation total due if arrival date is less than 30 days. Should you wish to cancel your booking then we require 30 days’ notice prior to your scheduled arrival. If the reservation is not cancelled 30 days prior, then you will forfeit your deposit in full. 100% of your booking will be charged if you do not notify us of your cancellation or any changes 30 days before your scheduled arrival date.